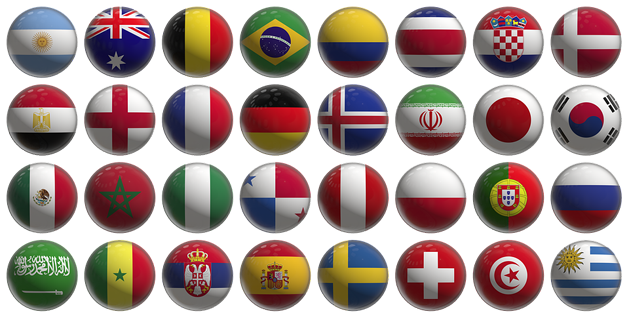 Home > News > 2018 FIFA World Cup – who are you backing? The wait is almost over. At 4.00pm on Thursday 14 June, host nation Russia will get the show on the road, taking on Saudi Arabia in the first match of this summer’s eagerly anticipated 2018 FIFA World Cup Tournament. Over the course of the next four weeks, the world’s best football teams will do battle in a bid to lift the iconic Jules Rimet Trophy. So… is this England’s year? Ever the optimist, Business Development Manager, Julian Cooper, certainly thinks so, but is he seriously misguided? He does like to remind us that he has won the LARS Fantasy Football League for the last two seasons, so he “knows his stuff”! Since the end of the domestic season, all media focus has turned to the World Cup and, in particular, this young and inexperienced England squad. But this year, instead of carrying the hopes and dreams of the nation on their shoulders, there is no pressure on them. We’re not expecting them to return home with the trophy. In fact, we’d be happy with a place in the Quarter Finals. That’s right. Instead of whipping us all into a frenzy and talking up England’s chances, the media has been realistic, choosing to focus on the unity of the squad and how the players are leaving in a positive frame of mind, which, according to Julian, means we can be hopeful. 2018 might just be England’s year, because we have no expectations. However, one sports data company has given England only a 4% chance of lifting the trophy, which is less than Peru (5% chance). Before any of us do get carried away – and we always do – we do need to remember that there are some very big hitters in this year’s tournament. We’ve taken a quick look at a few of the main protagonists. France is the team of choice for Anne. While there is no doubt that the French squad boasts some outstanding individual talent, Anne has chosen France simply because Italy didn’t make it. As is usually the case, France does enter the tournament with some big questions hanging over the team. Will the real Paul Pogba turn up? Will Didier Deschamps get his tactics right? If everything falls into place, this could be a very special year for French football, twenty years on from their only previous triumph. Caroline has gone for Germany – a wise choice. After all, it would be foolish of anyone to rule out the current World Cup holders. Germany reached Russia with a 100% win rate in qualifying and one more World Cup triumph and they will equal Brazil’s record of five wins. The players certainly have the experience – coach Löw could field eight starters from the 2014 final – and they’re renowned for getting the job done. Mark has a feeling that 2018 could be Belgium’s year, but admits that they are dark horses. Realistically, however, he thinks Germany will win. Mind you, the Belgium squad is packed with exceptional talent – De Bruyne, Hazard, Lukaku, Courtois – but as a team, they have never made it beyond the semi-finals. And let’s not forget, in past tournaments the management and tactics have been called into question. Will Roberto Martinez, a Spaniard, fare any better? Oddly enough, nobody thinks Russia will go very far. Did you know that the only host nation not to have progressed to the knockout stages of the World Cup was South Africa in 2010? Well, we think that there is a very good chance it could be repeated this year. Not only is Russia the lowest ranked team in the tournament, but the team also goes into the competition having not won a game in 2018. Hardly the stuff of dreams. Like Russia, there are no takers for Portugal, despite being the reigning European champions. Obviously, there is the Cristiano Ronaldo factor. He is pivotal to Portugal’s hopes and, at 33 years of age, this year’s tournament could represent his last chance to lift the World Cup. However, it’s worth remembering that they only just qualified for the World Cup, beating Switzerland 2-0 in their final, must win group game. Recent results haven’t been amazing, although they may well be buoyed by their 3-0 win over Algeria earlier this month. Had we asked everyone at LARS to pick a favourite, we’re pretty sure someone would have plumped for Spain. Having won the World Cup in 2010 and the European crown in 2012, it’s fair to say that the Spanish national team was in decline. But a managerial change* seems to have breathed new life into the squad and they go into the tournament on the back of a long unbeaten run, which includes a 6-1 thumping of Argentina (albeit without Messi). Will their opening match against Portugal on Friday live up to expectations? *breaking news – at the time of writing, Lopetegui, Spain’s manager, has been sacked. We wonder how this will affect Spain’s chances. Someone always backs Argentina. Somehow they rise to the occasion when it matters. For instance, like Portugal, they almost didn’t qualify, but a Messi hat-trick in their final qualifying match, in which they beat Ecuador 3-1, ensured they have a place at this year’s tournament. But are they putting all their eggs in the Messi basket? If so, that’s a lot of pressure on one player. That said, with players like Aguero and Higuain, they’re a potent force going forward so you can never rule them out. But defensively… we’re not so sure. This time four years ago, Brazil were unceremoniously dumped out of the World Cup on home soil, thrashed 7-1 by Germany in the semi-finals. Since then, a new manager has been appointed – Adenor Bacchi (known by everyone as Tite) – and they have suffered only one loss. With stellar names such as Neymar, Coutinho, Firmino and Jesus, it won’t come as a shock to hear that they are one of this year’s tournament favourites. In fact, Caroline was in two minds as to whether to go for Germany or Brazil, but felt that the only team which could beat Brazil was Germany. So a Germany / Brazil final then? We return to Julian’s optimistic choice. I know, we’ve said there’s no expectation on England to go all the way. After all, the team’s record in recent tournaments is not great, exiting at the group stage in 2014 and losing to Iceland in Euro 2016. But every four years we get to dream a little. Imagine, Harry Kane lifting the Jules Rimet Trophy. Could it be England’s year? So, there you have it. Our little round-up of the most fancied teams. In just over four weeks’ time the winner will have been crowned and we can turn our attention to the 2018/19 LARS Fantasy Football Competition.